Looking for luck? Luck Items as First Line of Luck. Luck items may take the forms of amulets, charms and talismans, which are also common in other cultures like those of the West, Middle East and Hindus. As the first line of treatments, astrologers in Western and Hindu cultures will often prescribe various items of luck for their clients to treat problems or to enhance astrological portents (the second more advance line involves complicated prayers rituals). Certain objects have the ability to emit positive or negative spiritual energy, depending on their nature. Some good luck charms are able to bring good luck as a result of a combination of this positive spiritual energy, produced from their physical form, the spiritual energy imparted in them during their consecration and through the faith that is placed in them by those who possess them. 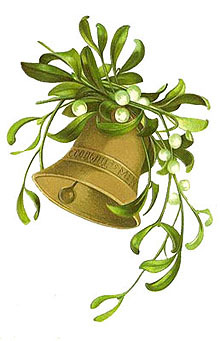 Other forms of good luck charms are generally symbolical in nature and rely more on the power of suggestion. The effects of authentic good luck charms can often be unexpectedly swift and profound. They can also be decorative items. Well, have a good look at what your Zodac sign tells of the luck items situable for you. One group of items of luck are the gemstones. These are favourites among astrologers. They are also the first level of protection. 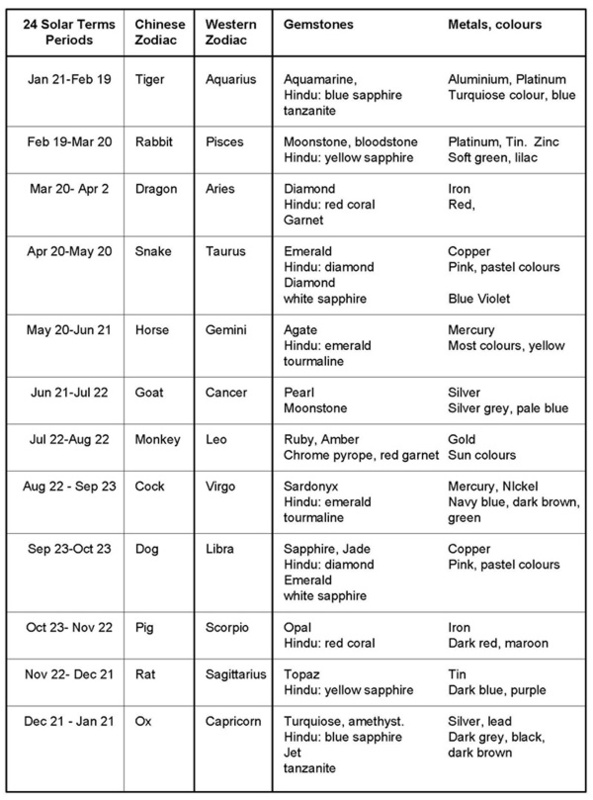 You have to know your Zodiac sign as each sign has its favourite stones (see Table below). There are also different stones for different purposes. They can be worn as decorative rings, bracelets or necklaces. According to research, 12 precious flowers were selected by two gods who created Chinese astrology and the Chinese calendar. These flowers are: Narcissus, Carnation, Violet, Jonquil, Sweet Pea, Passion, Rose, Larkspur, Gladiolus, Aster, Marigold and Chrysanthemum. Narcissus is a highly respected flower in Chinese culture. People decorate their houses with during the Chinese new year. It is also used as a medical herb to heal wounds of the body and soul. Carnation is a flower which symbolizes wisdom. It is associated with Guan, the Chinese earthly god. Chinese people use it to express their appreciation and gratitude towards their family. Violet is commonly used in herbal medicine. Chinese people use this flower to produce Viola tea and sweets with Viola syrup. It's essence is also used in perfumes and scented materials. Jonquil is used by the Chinese for the creation of a special lucky seal which they wear as a lament in special occasions. It is said that this Jonquil seal brings extreme luck to those who own it. Sweet Pea is a dangerous flower that should not be eaten. It contains a highly poisonous toxin. This flower can be found in most gardens because of its beautiful shape and bright colors. Chinese people use Passion flower which they mix with other herbs, to create an elegant smoking blend. The flower is also used in herbal medicine to cure insomnia, depression and epilepsy. Rose is the most recognizable of the 12 flowers. It symbolizes beauty and love. In China grows the Chinese Rose which has the unique ability to bloom repeatedly unlike any other Rose species. Larkspur is a rare flower. Chinese herbalists use it to cure asthma and eye diseases. The flower is also used against snake bites. Chinese also use it's essence to produce a high quality ink. Gladiolus is a very respected flower which Chinese people use in very important occasions like funerals. It is said that this flower helps those who have passed away to find their destination in heaven. Aster is one of the most decorative flowers. People in china use it for decoration purposes during festivals or ceremonies. It is a flower associated with Jade, the Chinese heavenly god. Marigold is a very important flower. The flower's essence is used to produce Lutein, a strong medicine against most eye diseases. Marigold leaves are also considered strong painkillers especially against headache and toothache. In China, people boil Chrysanthemum leaves to produce a special tea which is said to heal any illness. Chrysanthemum flowers can also work as atmosphere cleaners in an indoor environment, reducing air pollution to the minimum. 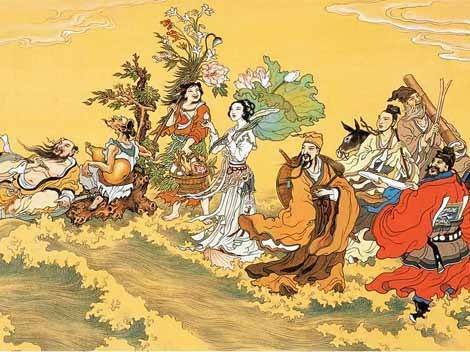 The 8 Immortals are known for curing people with herbs, plants and flowers materials. These plants materials can foster luck.